This is intended primarily as a plein air class. 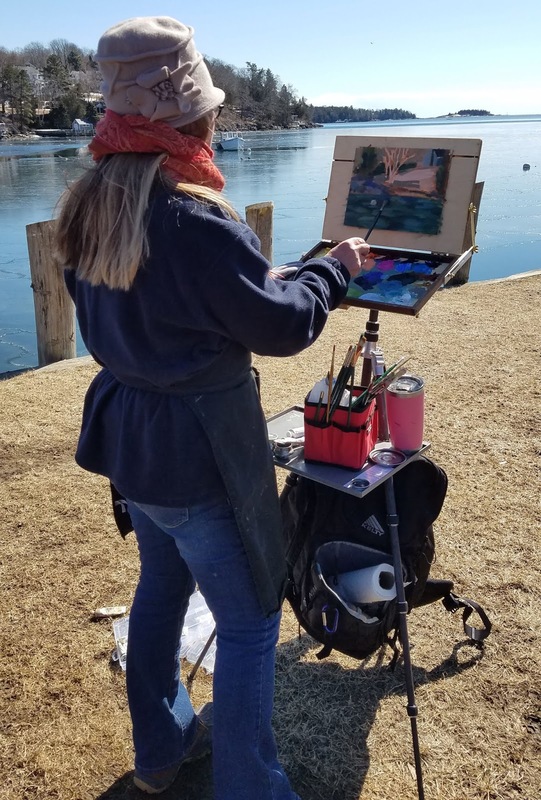 When weather permits, we paint at fantastic locations around the Rockport-Rockland-Camden area. 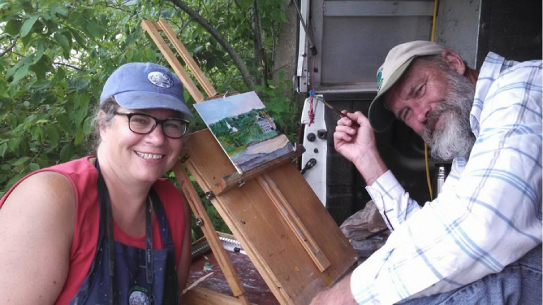 During inclement weather, we meet in my studio at 394 Commercial Street, Rockport. 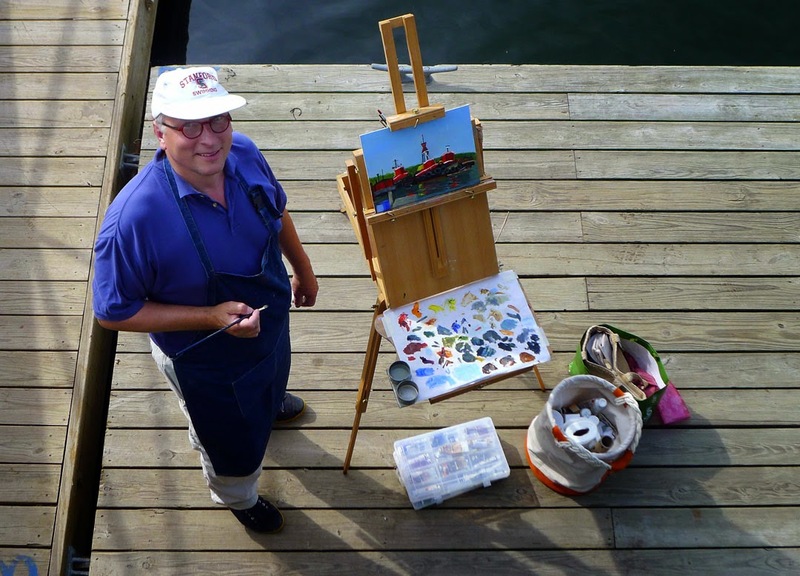 Painters are encouraged to broaden their skills in drawing, brushwork and color. Your own individual style will be nurtured. We’ll learn how to paint boldly, with fresh, clean color, to build commanding compositions, and to use hue and value to draw the eye through our paintings. This class is for students at any level. Watercolor, oils, pastels and acrylics are welcome. Because it’s a small group, I can work with painters of all levels. The fee is $135 for the four-week session. “Some teachers are good artists, and some artists are good teachers, but it is rare to find a good artist who is also a good teacher. Carol is one of them. She will teach you the fundamentals you need to know, which a lot of teachers gloss over without explanation, but she also takes you to the next level, wherever you are on the learning curve. “She is not only a skilled practitioner, but is also knowledgeable about the more theoretical aspects, which she clearly and simply explains so you can to apply them to your own work. She knows the history of art, and can point out examples from well-known artists, both contemporary and past, that illustrate her points. She is very supportive and is quick to point out what is successful in your work, but doesn’t coddle or patronize, so you do get valuable constructive critiques of every piece, and continue to learn and grow. To register for future classes or be added to a wait-list, contact me today!